Having mostly finished the cleaning I could get back to the quilt on the frame. I think I posted a picture of this one before, but here is another peek anyway. This dense quilting has a lot of ruler work which is hard on my hands, so I can either work on this or clean but not both on the same day. I am deeply unimpressed by this aging thing. Still at least I can still quilt and I am really loving how this quilt is coming along. I wish photos could capture texture better because this one has heaps of it. 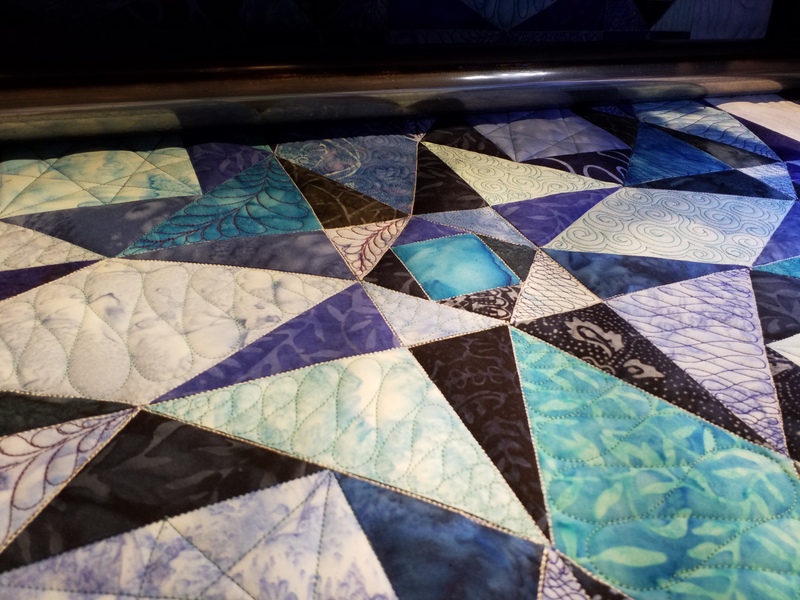 I have been adding a secondary pattern with the quilting. Up close I have no idea if it is working. I suspect I won’t know for sure until I get it hung in a show. That will probably be next year but we will see. I have downloaded and printed some entry forms before the end of the holiday I need to get them filled in and sent off.